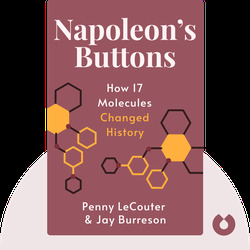 Napoleon’s Buttons (2004) is all about the molecules that have guided the course of human history in the unlikeliest of ways. These blinks explore how major geopolitical and social changes can be traced back to the simple bonding of atoms in a molecule. 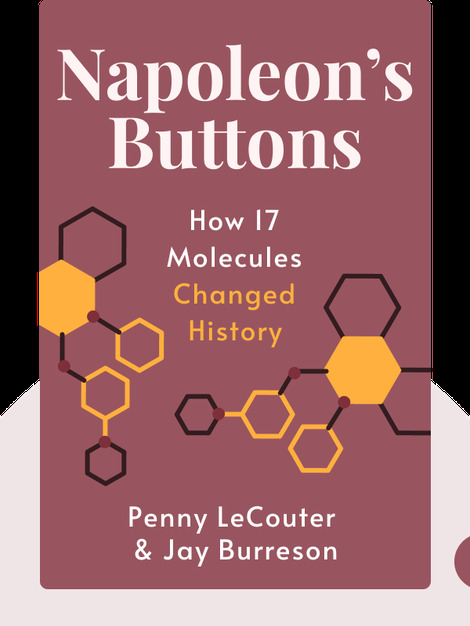 Penny LeCouteur is an author and professor of chemistry based in Vancouver, Canada, and is the recipient of the Polysar Award for Outstanding Chemistry Teaching in Canadian Colleges. Jay Burreson, PhD, is an industrial chemist and manager of a technology company.